This is a Fiesta Full wheel cover for 15 inch wheels. Get the classic look and style of a Fiesta hubcap with this 15 inch Fiesta Full wheel cover. Fits 15" wheel only, please check your actual wheels required cap fitment size. 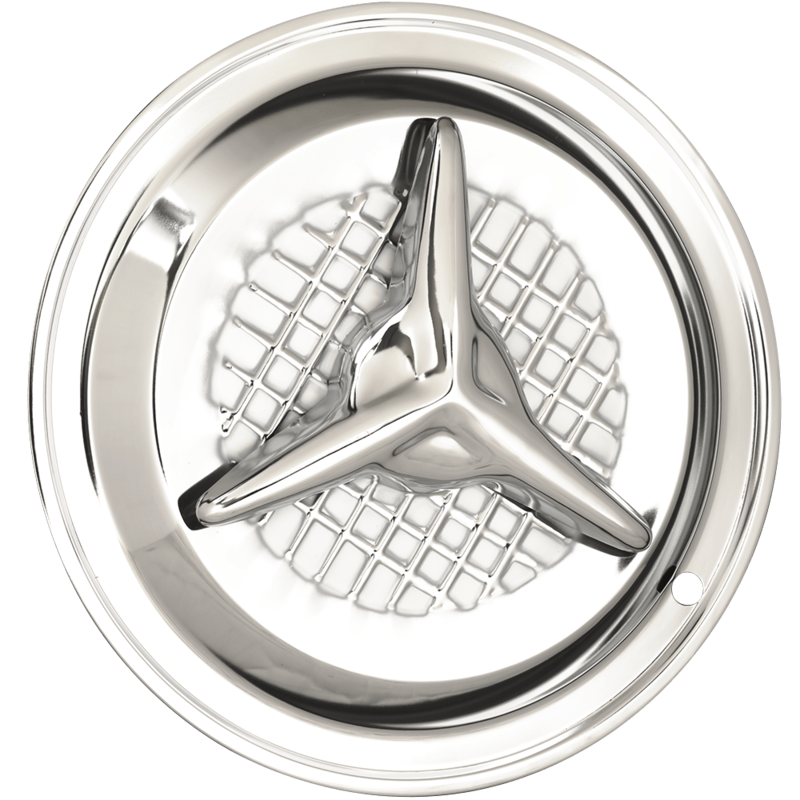 Coker Tire Company has a huge selection of aftermarket hubcaps wheel covers and trim rings. What car and year did they come on? Fiesta caps were original to 1954-1955 Oldsmobiles. will these fiesta 15 inch hubcaps fit a 1955 ford crown vic original steel wheel? As long as you do in fact have the original (or reproduction) 15" steel wheels wheels, these caps should fit just fine! I am planning a mild custom on a 1982 Oldsmobile Toronado. I have the original wheels. Will these caps fit. These caps should fit most standard steel, 15" diameter wheels.